Savvy Spending: Free travel-sized sample of Elemis Peptide⁴ Thousand Flower Mask on Facebook! 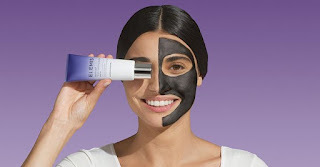 Free travel-sized sample of Elemis Peptide⁴ Thousand Flower Mask on Facebook! Visit the Elemis Facebook page to request a free travel-sized sample of Elemis Peptide⁴ Thousand Flower Mask. This sample is enough for 3 uses! Fun!